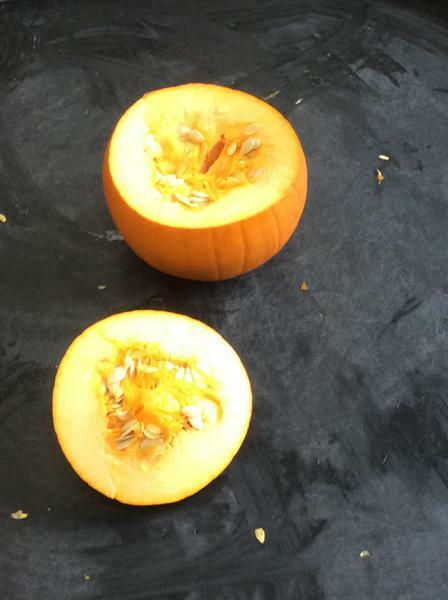 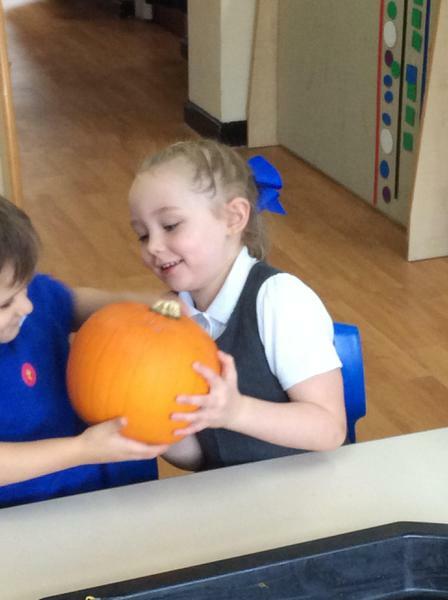 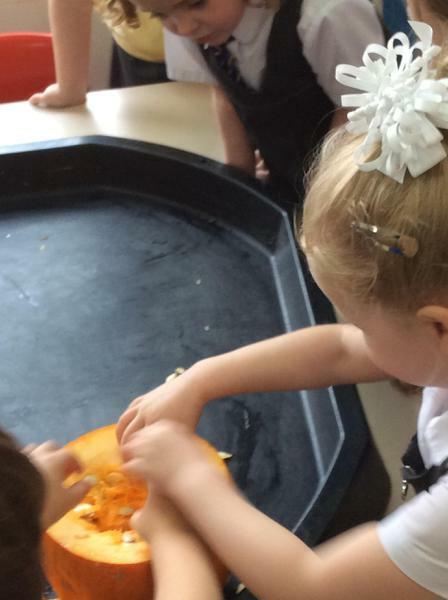 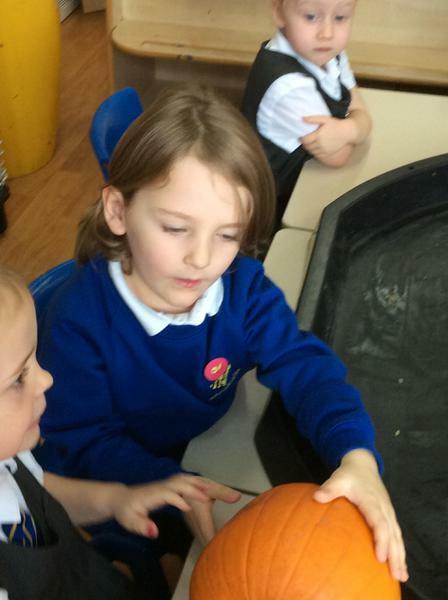 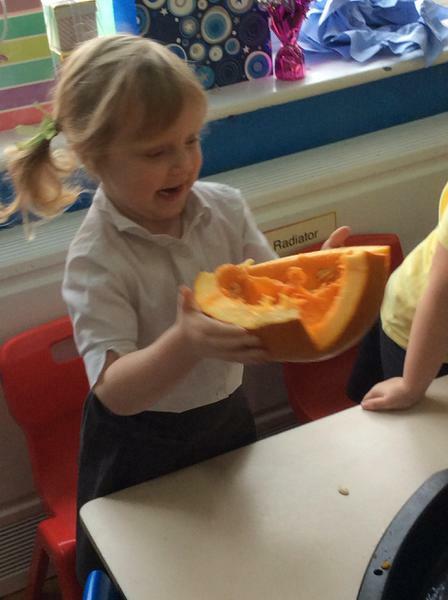 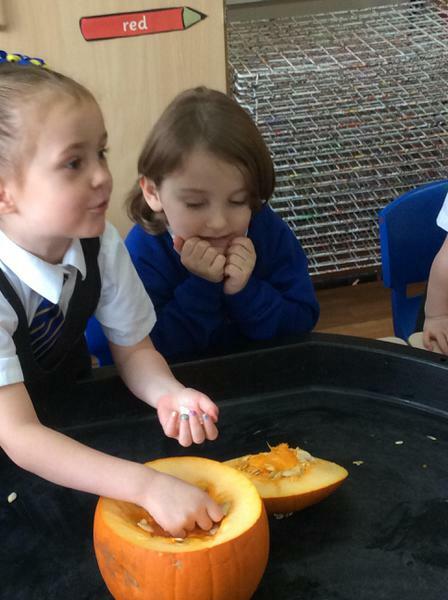 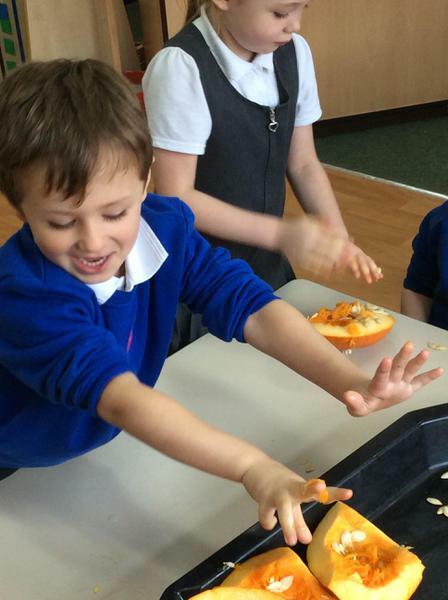 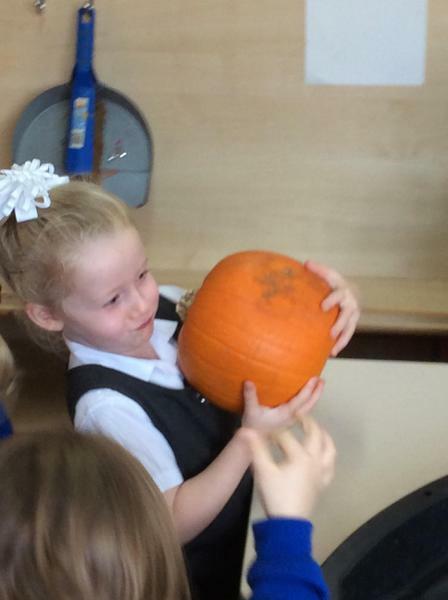 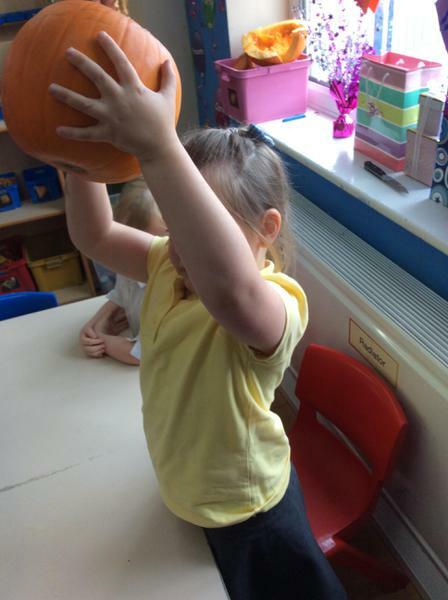 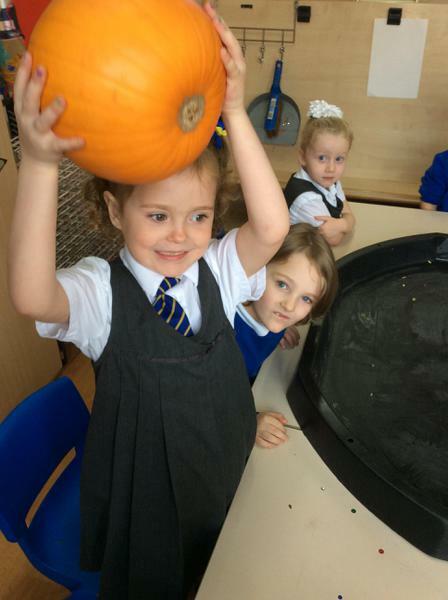 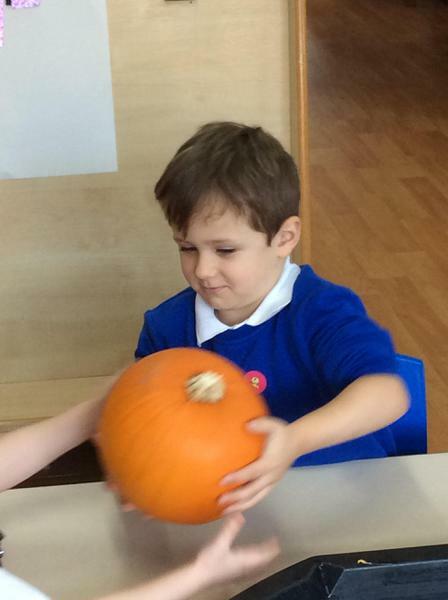 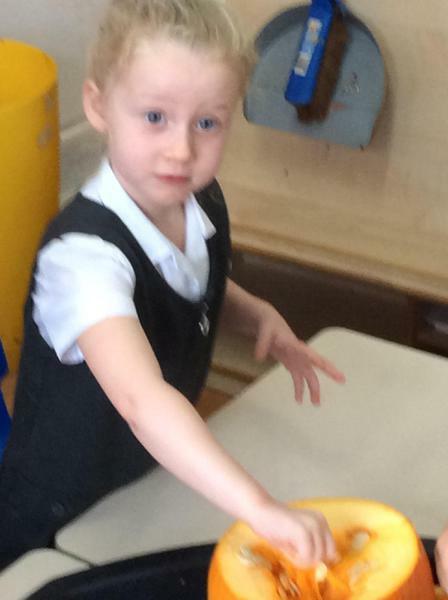 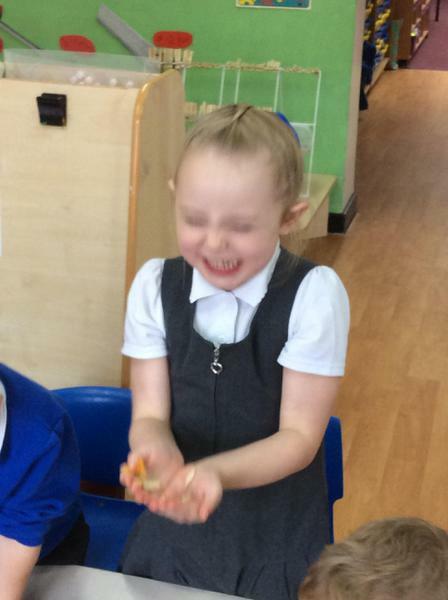 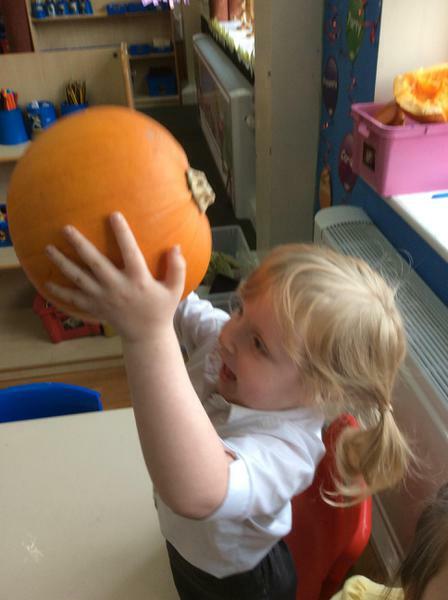 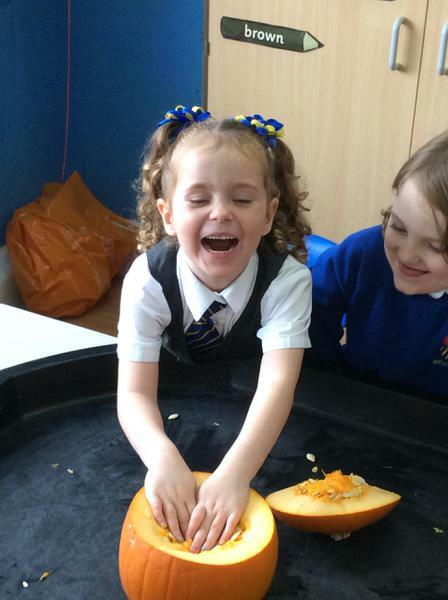 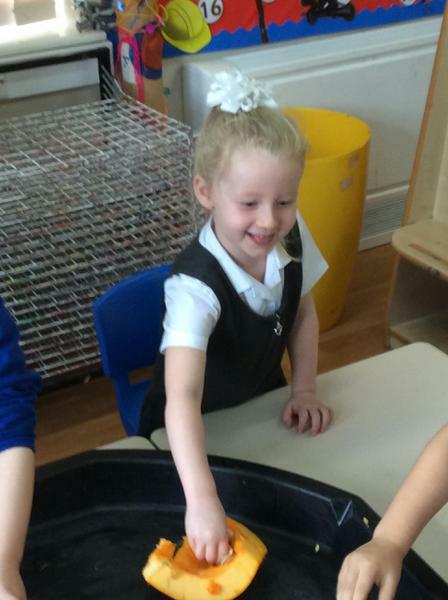 We had great fun exploring pumpkins. 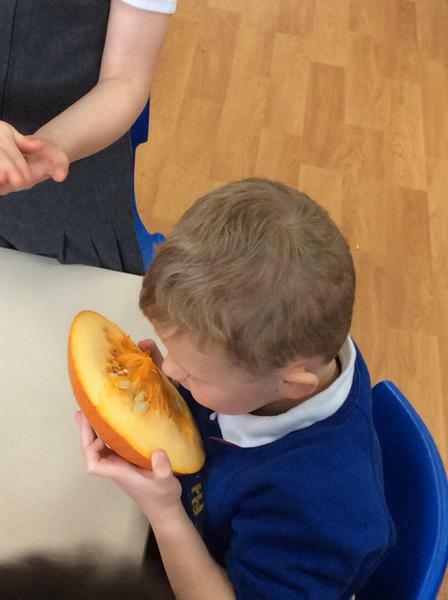 We talked about how they felt, what they smelt like and discussed the different textures inside and out. 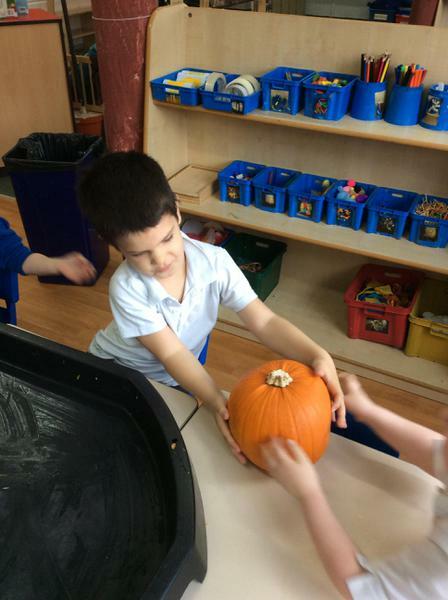 We talked about how to keep safe during Halloween trick or treating and watched a video clip to give us tips and ideas of what to do.